Thyroid gland is a butterfly-shape endocrine gland that sits in at the lower front of the neck. It plays a key role in one’s overall health and well-being by producing thyroid hormones that help keep the body use energy, stay warm, and keep the brain, heart, muscles, and other organs in tip-top condition. 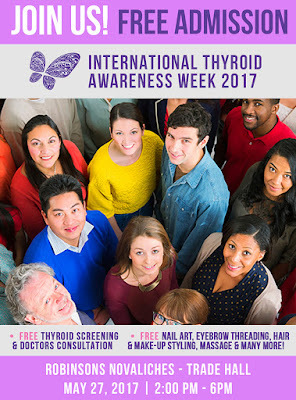 Since the primary role of thyroid gland is to control metabolism, disorders may occur when there’s little (hyperthyroidism) or overproduction (hyperthyroidism) of thyroid hormones. 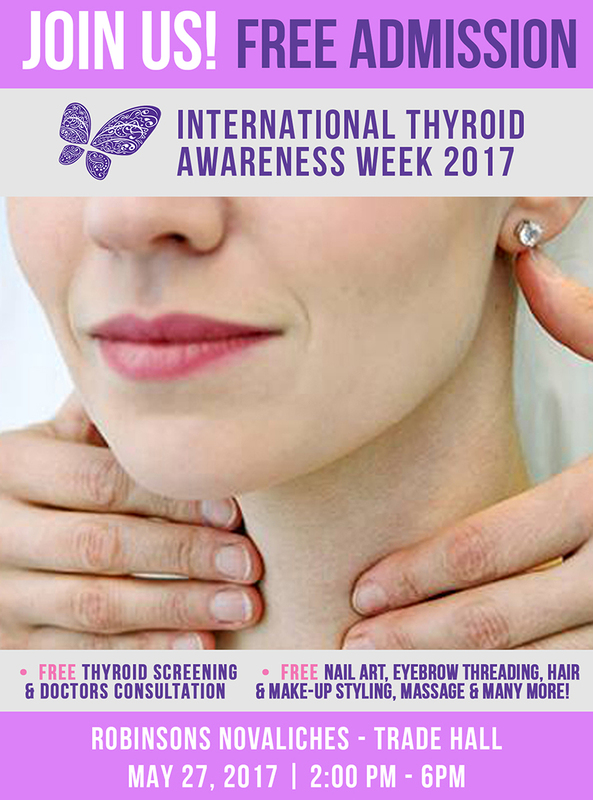 Patients with hypothyroidism tend to have slower metabolism: they gain weight despite not eating as much, move or speak slowly, feel tired and have depressed thoughts, cannot tolerate cold, and have irregular menstrual periods. 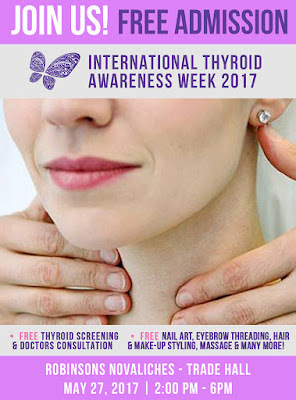 As for hyperthyroidism, they have unusually hyperactive metabolism: they lose weight despite having good appetite, have heart palpitations, irritable thoughts and insomnia, have sweating and heat intolerance and even tremors in hand. 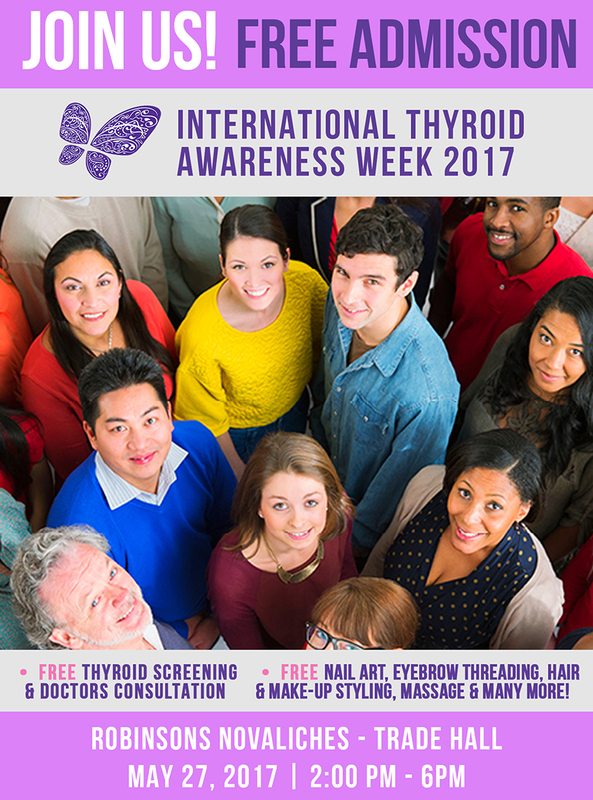 For more information, visit www.thyroidaware.com or follow “Unmasking Your Thyroid” on Facebook (www.facebook.com/thyroidph).